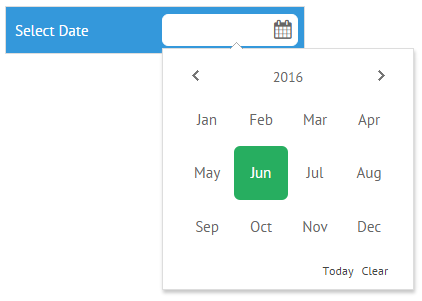 Datepicker is used in a combination with UI-related Calendar that is initialized on clicking the control. 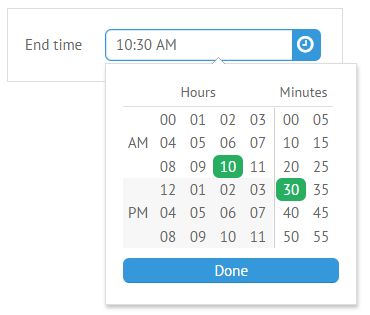 It allows choosing a date and, optionally, time in the calendar for their further usage. 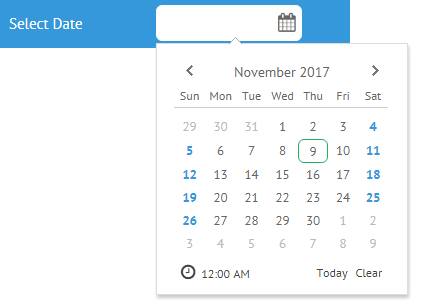 format (string) - sets a date format to display in the datepicker field. By default it is "%Y-%m-%d". 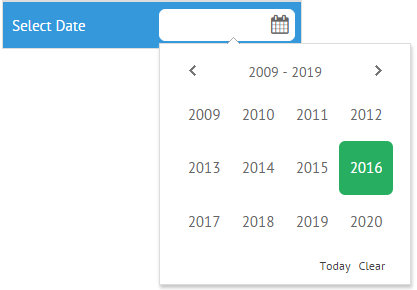 multiselect (boolean,string) - enables multiselect in a datepicker. Can be set to the "touch" value to switch multiple selection on touch devices. 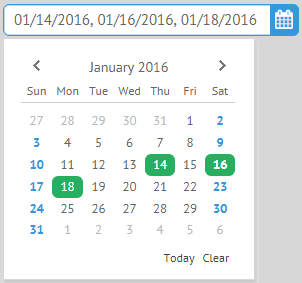 Dates are formatted according to the Date Formatting Methods.